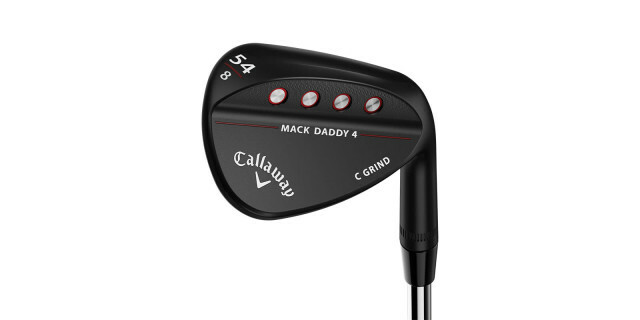 More spin and more grooves are the main features on the new Mack Daddy 4 wedge. “Groove in groove technology” has been introduced meaning that micro-grooves have been added in-between the main grooves creating a rougher face surface that produces more spin. 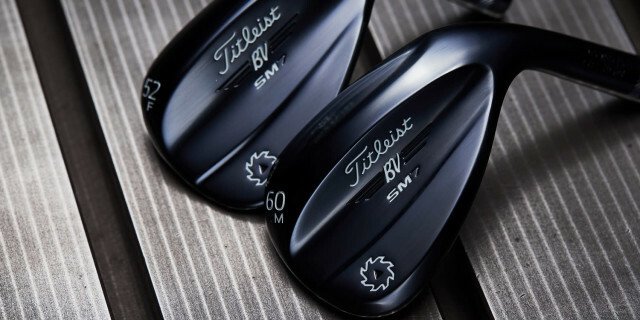 The lower lofted wedges (52 degrees and below) have 20D grooves for consistent spin on fuller shots. The higher lofted wedges (54 degrees and above) have 5D grooves that are more aggressive for maximum control out of rough and around the green. There are now four sole designs with the X being the new addition aimed at golfers who like to play a variety of shots from a wide range of lies. The C grind offers very similar characteristics to the X and the W and S grinds are ideal for golfers who like to hit wedge shots with a squarer face. Feel has also been improved with the four weight ports in the back allowing Callaway to move weight from the bottom of the head and position it higher up the face progressively for each loft. This results in a much more solid feel on every shot. There are 21 different loft and bounce combinations available and a choice of platinum chrome or a matte black finish. Find out more on Golfshake by clicking here, or visit Callaway's website by clicking here. 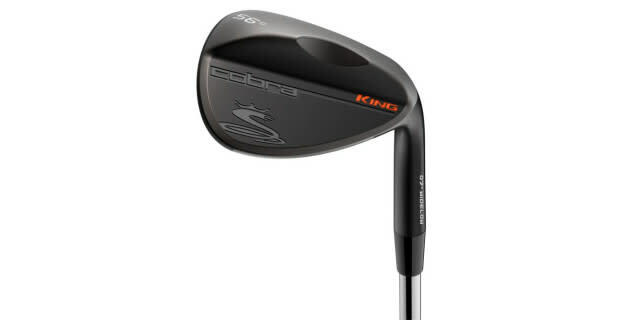 Cobra's new King Black wedge certainly looks the part. Cobra have used Diamonized Black Metal Technology, which has been chemically implanted into the club head. This gives it a jet-black finish that looks very smart whilst also reducing glare. Another benefit is that the finish is implanted into the club-head increasing the durability of it meaning better looking wedges, for longer. The face is 100% CNC Milled creating highly accurate grooves for consistent spin across the entire face. The main grooves on the wedge are also different to the norm as Cobra have made them progressive. In the weaker lofts (56, 58, 60) the grooves are wider and shallower than the stronger lofts (50, 52, 54) which are narrower and tighter spaced. This again delivers more consistent spin and also trajectories between the lofts. There are three sole/grind options available on the King Black wedge. Wideflow Grind is designed as an all-round wedge and works best from sort to medium turf and bunkers as the combination of the wide sole and low bounce prevent the leading edge from digging into the ground. Classic grind has a thinner sole and higher bounce giving it better performance from a variety of different turf conditions and perfect for someone who takes medium to shallow divots. Versatile grind has a softened leading edge, heel and toe relief and provides a much wider range of shot choice, especially in firm conditions. Find out more on Golfshake by clicking here, or visit Cobra's website by clicking here. Cleveland say that their new RTX-4 wedge is the most tour-authentic wedge they’ve ever made and when you look at it, it’s easy to see why. The head is smaller than the previous model, angling more towards the blade style head that better player likes to see. The face has fourth generation Rotex Face Technology producing more spin through sharp grooves and aggressive face milling resulting in maximum control around the greens. The RTX-4 also has progressive shaping so the lower lofts blend in with your irons for easier transition while the higher lofts have a more traditional shape better suited to greenside shots. Progressive Feel Balancing Technology has been added adjusting the centre of gravity enhancing feel and distance control even on off centre hits. Three finish options are available, black satin, tour satin and tour raw. Four sole/grind options are available on in the RTX-4 range. Mid - Features a V-Shaped sole for smooth full shot performance and crisp pitch shots around the green. Perfect for golfers with neutral or steep attack angles. Available in 46° - 60° lofts. Low - Offers powerful versatility thanks to the heel, toe and trailing edge relief that makes it easy to open the face and execute advanced shots around the green. Available in lofts 56° - 64°. Full – Traditional shape promotes stability on all shots and adds bounce when you open the face for better bunker play. Perfect for neutral and steep attack angles. Available in lofts 56° - 60°. Xlow - Excels in keeping the leading edge low so you can execute the most demanding open-face shots from tight lies and firm conditions. Available in lofts 58° and 60°. Find out more on Golfshake by clicking here, or visit Cleveland's website by clicking here. The S18 is the new performance wedge offering from Mizuno and now features advanced centre of gravity positioning. In the higher lofts, mass is shifted up the blade and is reversed in the lower lofts with the weight being positioned further down the in the head. The result is more consistency in spin rates and trajectory. 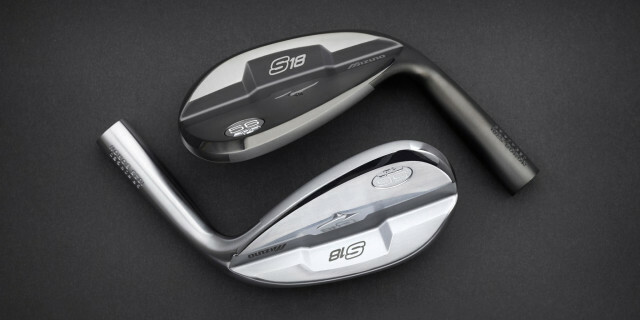 Unlike many of its rivals, the S18 is a forged wedge made from a 30% stronger Flowed Forged 1025 Boron Steel, meaning the grooves stay sharper for longer whilst keeping the forged feel. The Quad Cut Grooves are milled narrower/deeper on the stronger lofts and wide/shallow on the higher lofts greater optimising the performance of each wedge. Every loft has a unique profile, sole grind, and groove depth to be the most effective for their expected use. The S18 has a choice of finishes, blue ion, gun metal and white satin. Find out more on Golfshake by clicking here, or visit Mizuno's website by clicking here. Co-created by Phil Mickelson and Roger Cleveland, the new Callaway PM Grind wedge is designed to be more versatile around the greens. Phil, famous for his short game believes there are three essential short game shots. A knock down shot that flies low with high amounts of spin, a hit and check which bounces twice and stops and his famous flop shot that flies high and stops very quickly. This wedge has been designed to make it as easy as possible to play all three shots. Firstly “groove in groove technology” has been added with micro-grooves milled on a 20-degree angle in relation to the standard grooves to provide greater amounts of spin. The amount of offset on the head has been increased making it easier to play shots from the back foot, such as the knock down shot. The face also features a high toe and as a result the CG has been moved higher up the head promoting a lower ball flight whilst maintaining a crisp feel when shots are struck from the high toe area. The wedge comes with a C-grind sole that offers relief at the heel and toe helping to produce a crisp, clean contact from all lies. 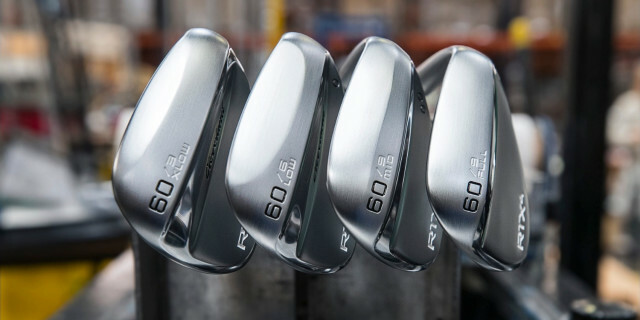 The PM Grind wedge will be available in a platinum chrome or a tour grey finish. The Vokey SM6's key design feature was where the CG was positioned, and this theory has been further refined in the SM7 model. The CG position changes in each loft of wedge, the lower lofts having it positioned further towards the sole and the higher lofts have it further up. The idea behind this being that the CG is positioned right behind the impact point, the more loft on the club the higher up the face you will strike it. The result being precise distance gaps and trajectory control. Vokey’s spin milled grooves still feature in SM7 however they also change depending with the loft on the wedge. Low lofts (46°-54°) are designed with narrower, deeper grooves, while higher lofts (56°-62°) have wider grooves. The result is superior spin and control on all wedge shots. There are six grind options available in the SM7 line-up giving golfers the ability to find the exact wedge to best suit their game and swing characteristics. F Grind - Full sole designed primarily for full swings & square face shots. Due to this design, it is the only grind available in 46°-52°. S Grind – The S is best for square faced shots with a touch more versatility than the F Grind. M Grind - M grind is designed for players that like to rotate the club face open and shut to manufacture shots around the green. D Grind - High measured bounce with the crescent shape of the M Grind for shot making versatility. K Grind - The highest bounce wedge in the lineup, the K Grind is the ultimate bunker club and the most forgiving wedge in the lineup for all shots. 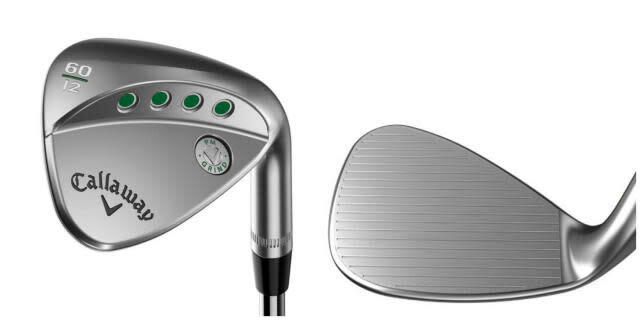 L Grind - The L Grind features a narrow crescent shape allowing maximum green side versatility, but it is the least forgiving wedge in the lineup. Find out more on Golfshake by clicking here, or visit Titleist's website by clicking here. The main change with Glide 2.0 from the previous model is the grooves. Ping have steepened the grooves by four degrees increasing the spin rate for more control and precision on full and partial shots. Also, an extra groove has been added on the 46° to 52° wedges and two extra grooves on the 54° to 60°. The same four sole grinds are still available on the 2.0 and seen in the previous version. SS Grind is an all-purpose mid-bounce sole with heel and trail edge relief to create versatility on touch shots around the green and will work well for most golfers. WS Grind is a full-sole design that provides turf security for players with a steep angle of attack. The reduced camber and added width prevent the sole from skipping into the ball. TS Grind is designed for shot making and precision. Heel relief allows shots to be played with an open face without the leading edge sitting too high from the turf. ES Grind has a very wide sole and performs brilliantly from the sand. A classic dish profile with a tapered hosel provides great all-round performance. Find out more on Golfshake by clicking here, or visit PING's website by clicking here. 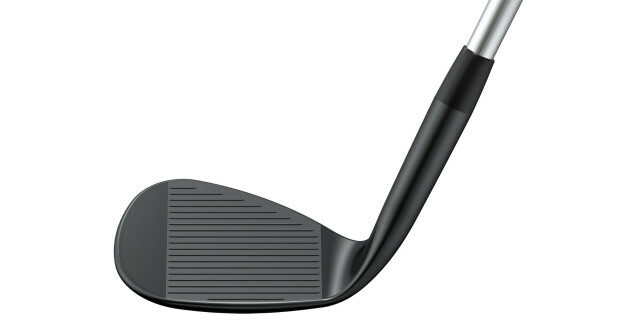 TaylorMade’s HI-TOE wedge certainly looks different, but there is good reason for this. The face features full length grooves in the higher lofts, the idea being that when you open the face there are more grooves to run across producing more spin and giving greater margin for error. The hi-toe means that there is more weight higher in the head so TaylorMade have removed some weight from the sole to balance the club and this is made obvious by the three cut-outs in the back of the head. The sole is the interesting part of this wedge as TaylorMade offer three different grinds to match your play style. Standard sole (50°, 52°, 54°) is an all-purpose grind perfect for longer approach shots and is well suited to all turf conditions. These lofts have standard grooves. ATV Grind (58°, 60°, 64°) has 12° of bounce and the V shaped leading edge moves through the turf and sand much easier for better contact. Find out more by visiting TaylorMade's website by clicking here.